In this age of nuclear families and women empowerment, it is common to see households with working couples/single parents constantly on the lookout for quality care-givers for their young children. Whilst many options are available from trained and untrained individual care-givers or certified and un-certified daycare centers, parents are often left desiring for better professional care for their precious one. No parent can work in peace if they are constantly worried about the quality of care being provided to their little one whilst they are away at office. It was to remove this worry from the young parents’ mind that Learning Edge India Pvt. 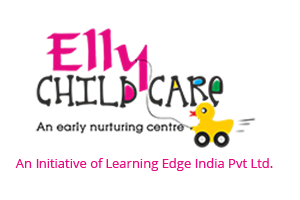 Limited delved into the concept of corporate daycare and created Elly Child Care in 2011. The idea was well received by the market and the first corporate to tie-up with Elly Child Care was Honeywell in 2011, itself. As good word of mouth spread about the quality of care provided by Elly Child Care, soon, SAP joined in to make the same provision available to its employees. Over the years, ABB, Tech Mahindra and JSW have also signed up with Elly Child Care. Apart from having centers in these corporates, Elly Child Care also has a select few standalone centers, strategically located close to corporate parks to make the same facility available to a large number of employed parents. Presently, over 500 children are being nurtured at Elly Child Care facilities across multiple locations.